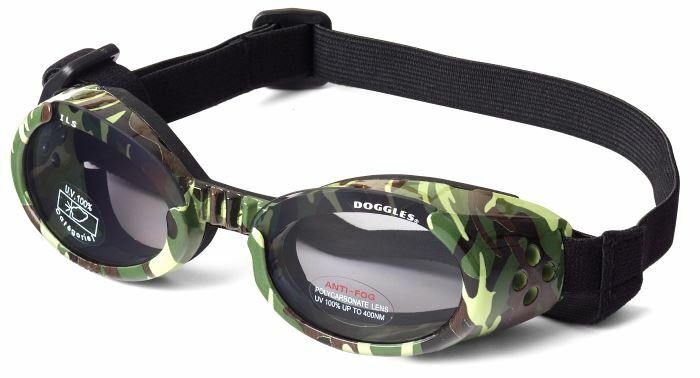 These Camo Dog Goggles eyewear by Doggles are great for the outdoors type dog. While hunting, fishing, hiking or whatever activity the Camo Dog Goggles match the outdoors event with fashion and safety. The dog goggles offer 100 percent UV protection from harsh sun rays and really make a statement. 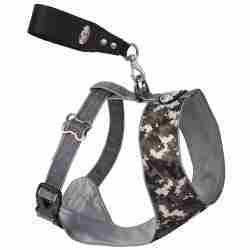 Thy feature a flexible frame, adjustable straps, and wide nose bridge - perfect for your dog. The Camo Dog Goggles feature the Doggles ILS (Interchangeable Lens System) in the event replacement is necessary. Doggles Goggles are a top of the line eye protection product, unmatched by any competition for quality and durability. If your dog needs extra eye protection, this is exactly what you'll need.